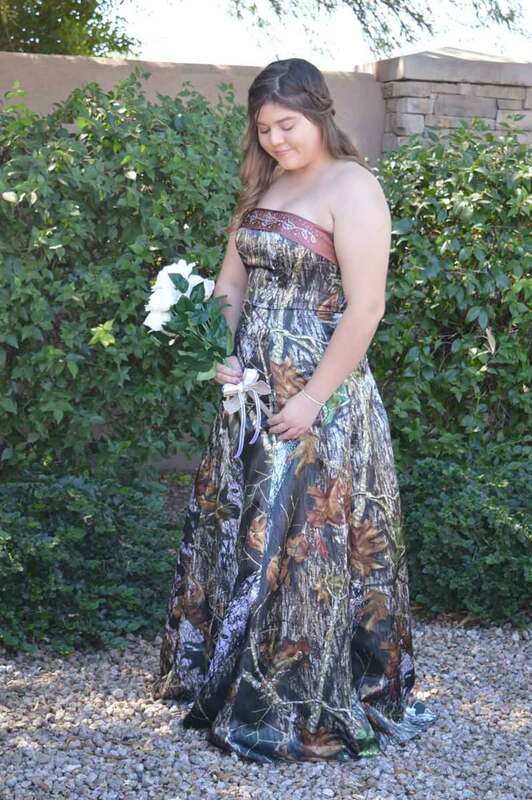 “This brand new in-stock size 12 TERRI gown is in Mossy Oak Break Up with the fold-over bodice band and lace-up ties in soft copper. The fold-over bodice band has beading for a touch of sparkle. The back of the gown features a corset back which allows for adjustments in the fit. 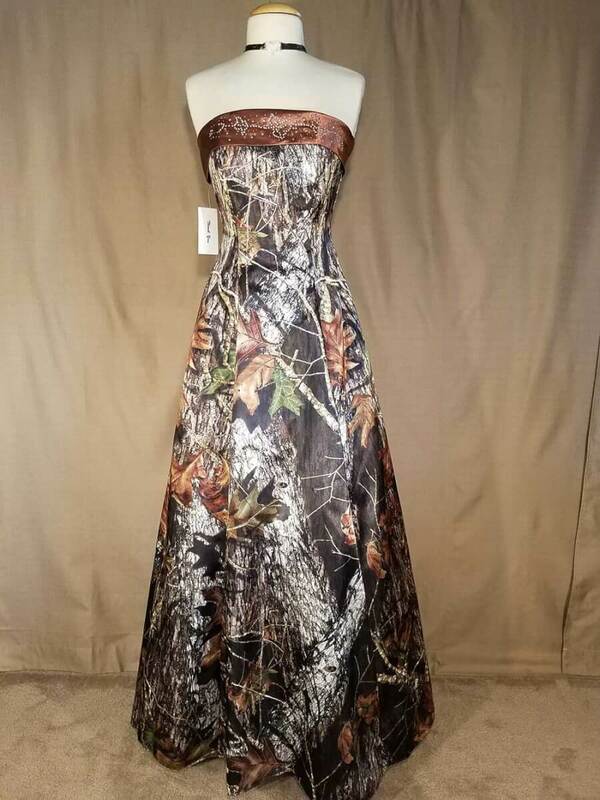 This size 12 dress has measurements of B-34, W-26.5, H-36.